How much sense does It make to develop business 2 business or consumer Keywords that are seldom used? Actually, I believe that both are right and both are wrong. First and foremost, I believe the emphasis should be on natural language writing and logical uses of the keywords. This will no doubt require extensive research, reading, and writing of quality content. It will certainly take an extended period of time to make a marketing impact in the various keyword market segments. At the same time, it is important to also develop other lesser used variations of those keywords and keyword phrases to help establish an online site theme or a type of Internet marketing trend in what a website is about. No search engine company is going to come out and tell you exactly what is required to get your web page or website up to the top in the search engine results. Though they will give you some best practices guidance for webmasters to follow. First off, every search engine company on the Internet wants to have the best results possible. If a search engine tells you exactly what to do, then everyone would try to do the exact same thing. There are a multitude of variables involved in page ranking, that are factors in attaining top standing in the search results. We can not control what Google, Yahoo!, or Microsoft Search do in their algorithms. So, what we can control is the content and layout of websites under our control. The number one goal of any website should be to provide quality content to get found online. Algorithms and software improvements at the Search Engines have made great strides in evaluating keywords throughout the page and site, along with Natural Language Processing (NLP), Text Analysis, and Automatic Classification Systems are some of the key areas for establishing what a website is all about. The days of just pasting a whole bunch of keywords over the entire page or hiding the keywords in the underlying html code to get a website in the top search results is all but over. Sure, there still are websites in the search results list that do this type of Black Hat SEO tactic, of hiding keywords, but that is only because other parts of the software algorithms might give higher Page Rank [Google PageRank] to these pages based on the number of pages that link to them on the Internet. Read more insights into the Google PageRank perspective. 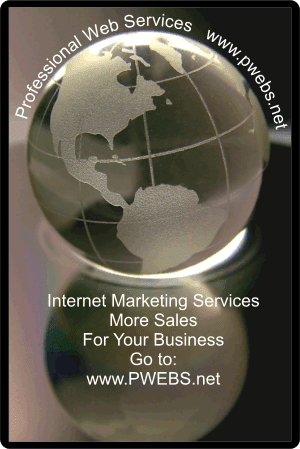 I believe that we are all on an online marketing learning curve. Search engines are continually learning about the World Wide Web by constantly traveling the Net with their Robots that catalog the pages. Then with analysis software, the companies can determine the so-called Mean, Mode, and Median of any particular criteria within the page or group of search results they wish to analyze. With such detailed analysis, they then can tighten or loosen a set of parameters to slightly change or drastically change the search results. Every update to a search engine algorithm in-turn creates a new round of learning by all the SEO Webmasters of the world. Through this type of online school teaching, the SEO is constantly being trained toward better content writing and layout quality. The whole of search is also trained, because as creativity and new technology are implemented into websites, along with the popularity of other types of online content sites, the search companies can continue to upgrade and improve their algorithms to reflect these new changes. Sure, there may be the law of unintended consequences along the way, but in the long run, everyone will benefit with better content, websites, and search engine results pages. Click the link: SEO School And Internet Marketing School to print this article for your future reference.